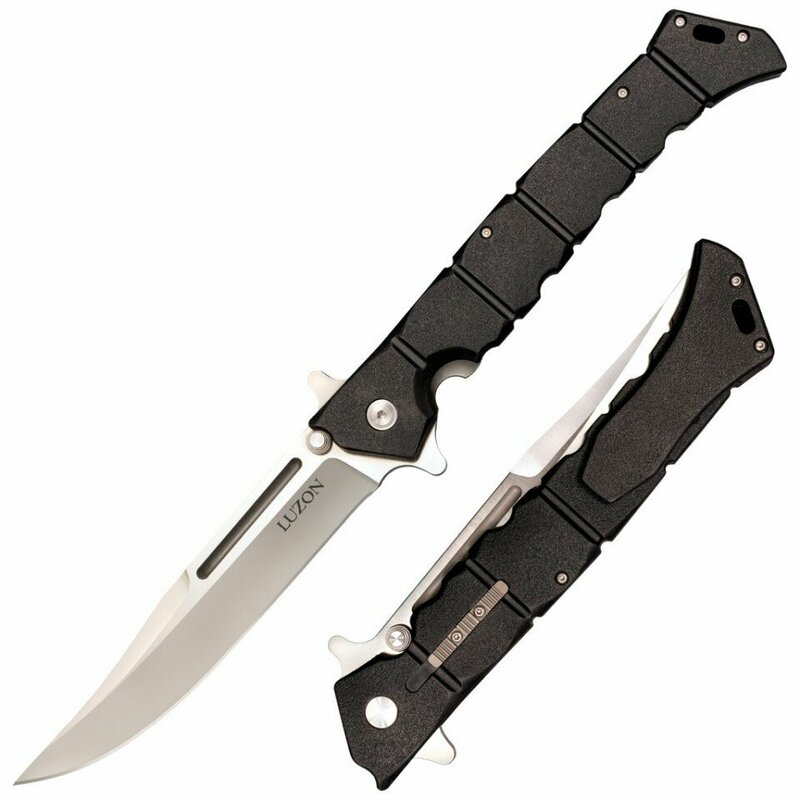 Knife Cold Steel Luzon Large(20NQX) High quality Cold Steel knives, throwing knives, tactical knives. Lynn C. Thompson’s love of Filipino Martial Arts encouraged this collaboration with Mike Wallace on the Luzon (LOO-ZAHN) folder. Inspired by several balisongs in Lynn’s collection, but functioning as a flipper, the Luzons are a politically correct alternative for those who are unable to legally own balisongs. The Luzon’s blades are comprised of 8Cr13MoV Stainless, and expertly hardened to 57-58 Rockwell and feature sharp, strong, points with just enough belly to make them equally useful for cutting and slashing. You’ll be dreaming of the Philippines once you experience the Luzon’s bamboo-inspired handles, featuring concave segments that offer countless comfortable grip options. Made of glass-filled nylon (GFN), the Luzon’s handles are impervious to the elements, and are unlike any handle we’ve ever made before. Handsome and budget friendly, and a breeze to flip open, the Luzons are a formidable choice for those going in harm’s way. Offering incomparable levels of safety, they’re equipped with a sturdy leaf-spring lock and a (patent-pending) secondary safety mechanism that, when it’s engaged is extremely resistant to shock and impact. Your fingers will be safe even under the worst conditions. Available in two sizes, both feature a lanyard hole.